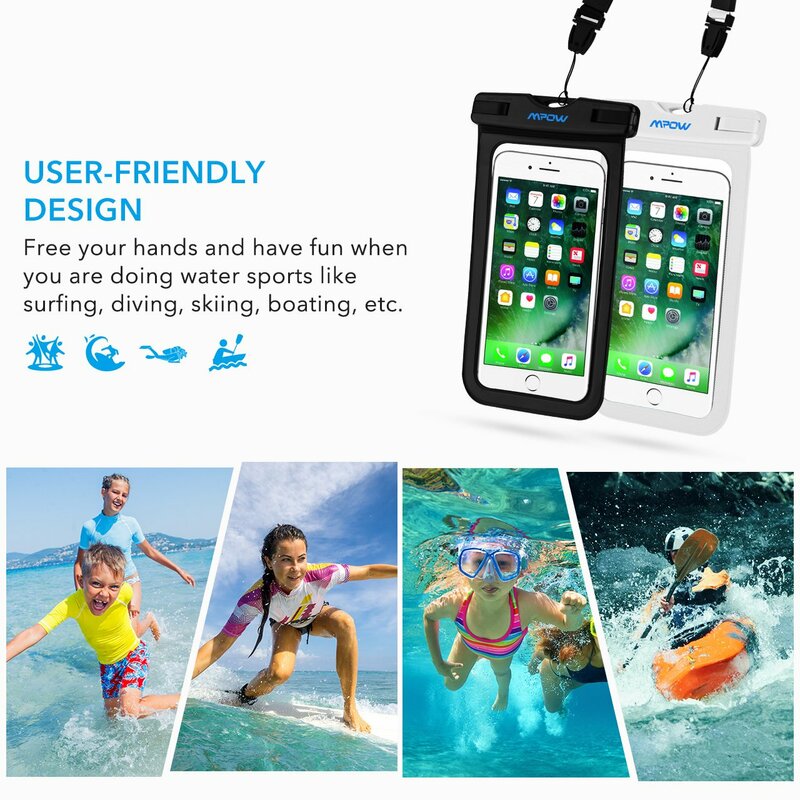 Universal Waterproof Case is a must have item if you love water. 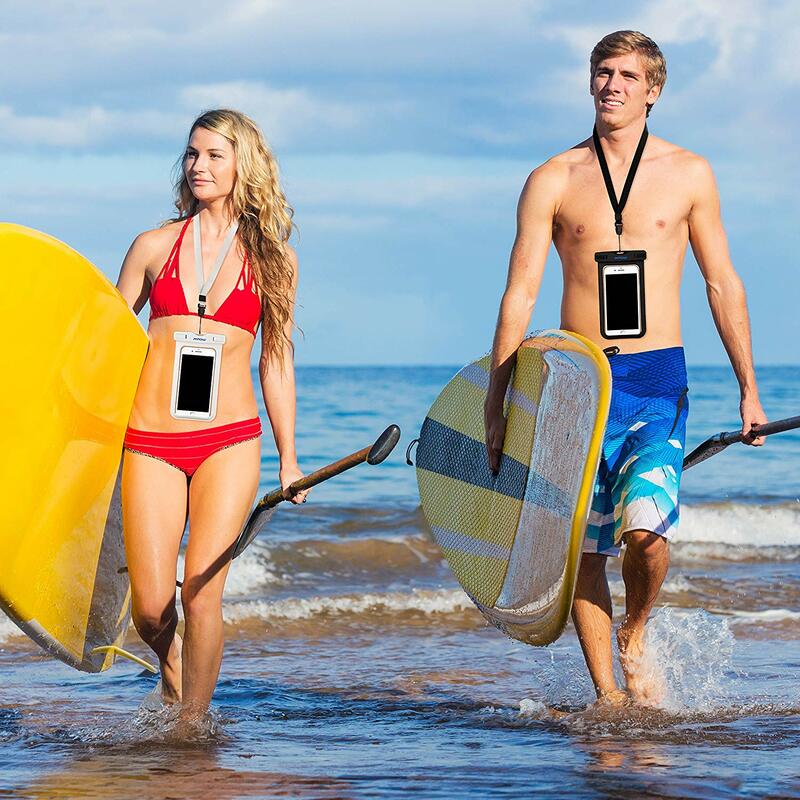 Be it the beach, swimming pool or a shower, it’s a versatile item to have. Premum Grade Materials used so there is no ‘uh oh’ moment. 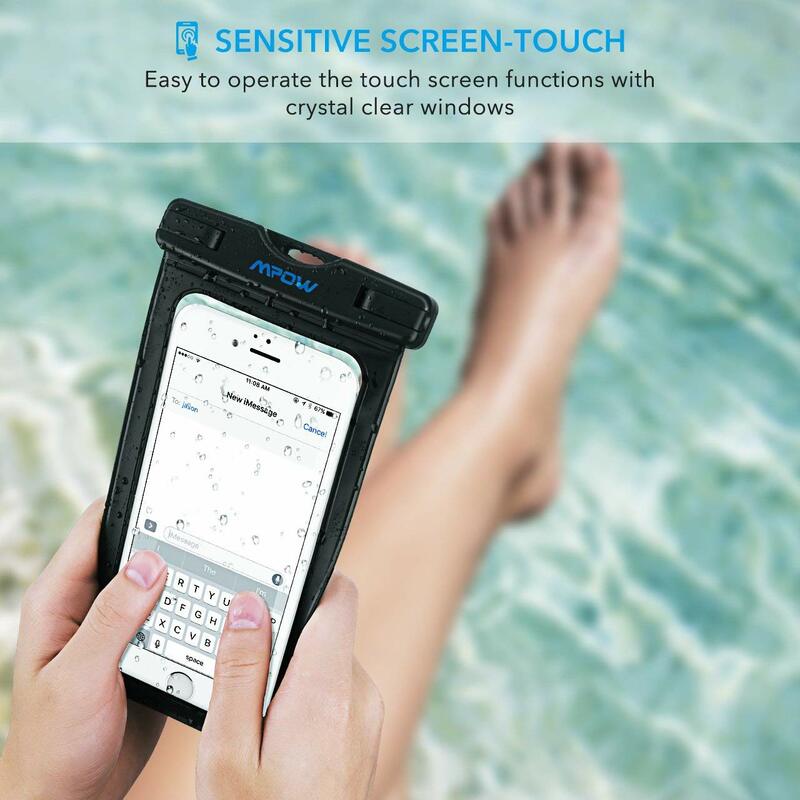 Universal Waterproof Case provides Free Operation and Transparent Cover: This slim waterproof phone cover is designed not to hinder touch screen use even underwater. 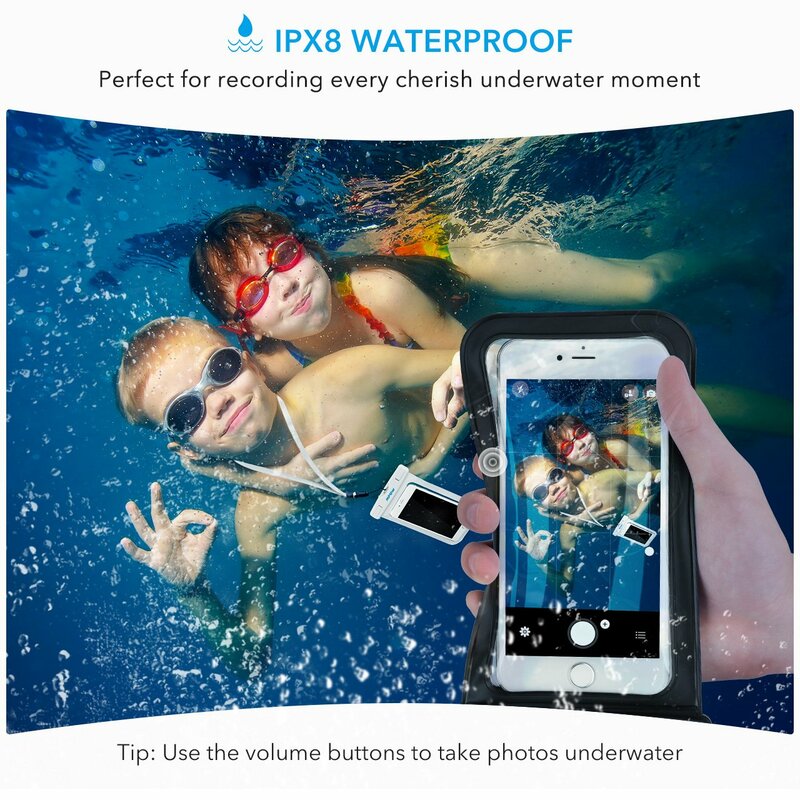 Transparent cover all around so as not to block the camera use. 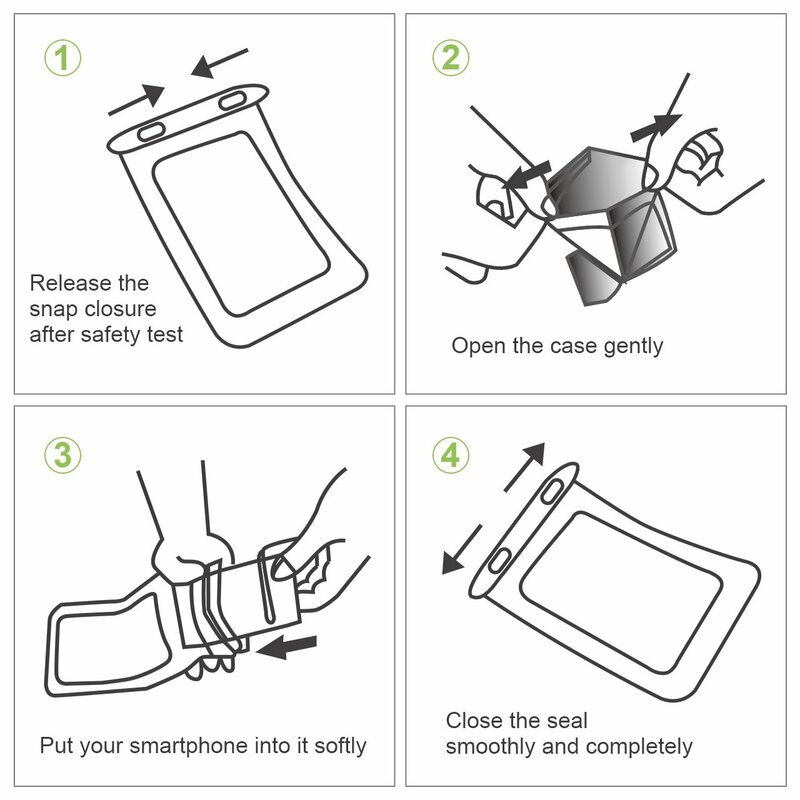 You can perfectly operate your cellphone but NOT for touch ID fingerprint. 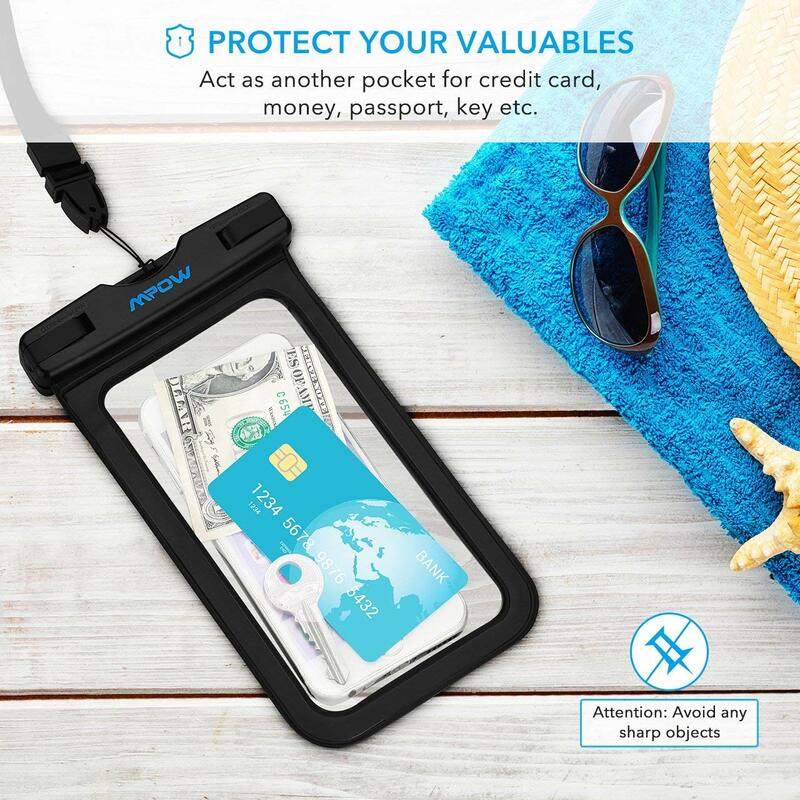 Universality: It fits all large Smartphones below 6.5 inches & your cash, documents, credit cards, etc, very good for indoor &outdoor activities, water sports, travels. 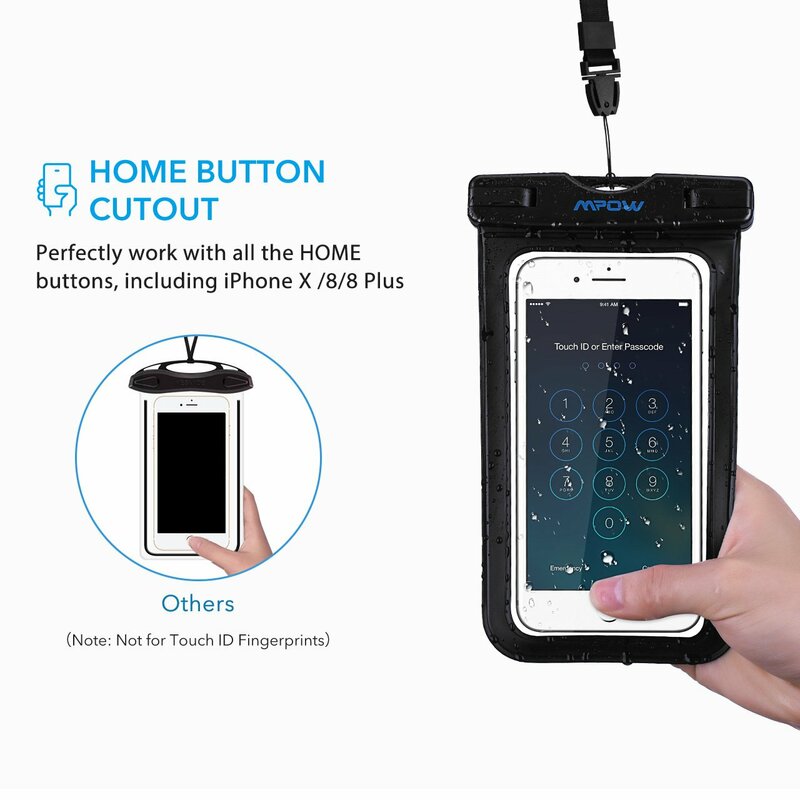 Compatible with most smart phones (under 6.5 inches) including iPhone Xs Max, Xr, X, 8, 8 plus, 7 plus, Samsung Galaxy S9 S8 S7, S6 Edge plus S5etc. 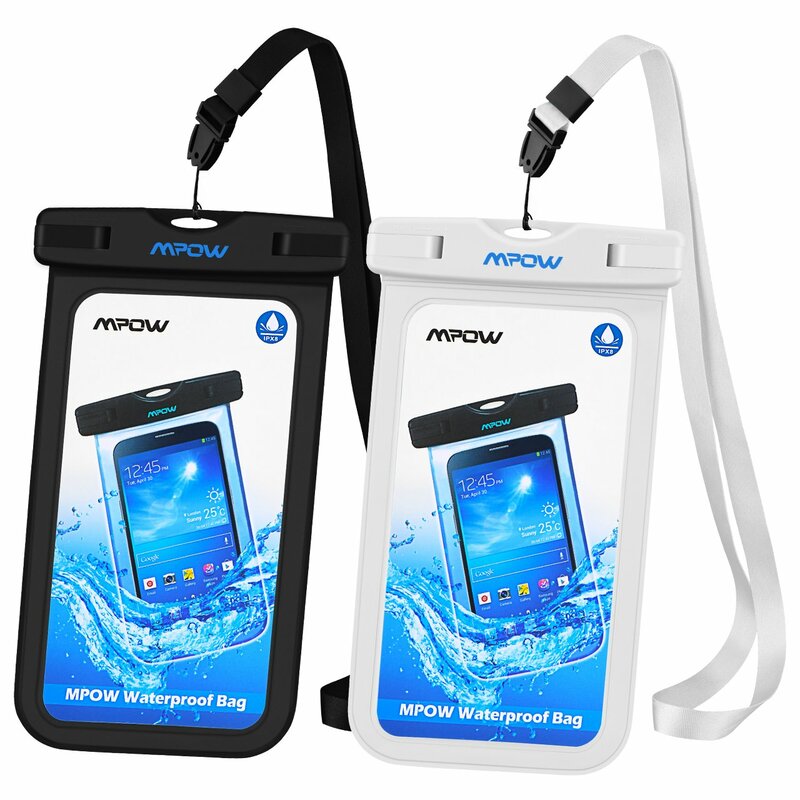 Universal Waterproof Case: Features a simple snap and lock access, easy to keep out water, snow, dust, sand, and dirt.